All reagents are manufactured by Pharmacia and Upjohn Diagnostics, Uppsala, Sweden. Note: date and initial all reagents upon opening. Each container should be labeled with substance name, lot number, date of preparation, expiration date, and any special storage instructions. 1. Anti-IgE ImmunoCAP (cat. no. 14-4417-01). Anti-IgE Mouse monoclonal antibodies. 16 ImmunoCAP/carrier. Store at 2-8°C. 2. Allergen-specific ImmunoCAP (refer to catalog for specific allergen product number). Each ImmunoCAP is specific for detecting IgE antibodies against one or multiple types of allergen. Store at 2-8°C. 3. UniCAP-specific IgE conjugate 400 (cat. no. 10-9310-02). P-galactosidase-anti-IgE (mouse monoclonal antibodies) approx 1^g/mL. Color-coded blue. Six vials, 20.5 mL/vial. Store at 2-8°C. 4. UniCAP-specific IgE calibrator strip (cat. no. 10-9386-01). Human IgE in buffer, concentrations 0.35, 0.70, 17.5, 50, and 100 kU/L (0.2 mL/vial), five strips, one curve per strip. Store at 2-8°C. 5. UniCAP-specific IgE positive control (cat. no. 10-9446-01). Prepared from selected pooled human serum and contains IgE antibodies to a number of different allergens. Each kit contains six bottles with four determinations per bottle (0.3 mL each). Store at 2-8°C. 6. 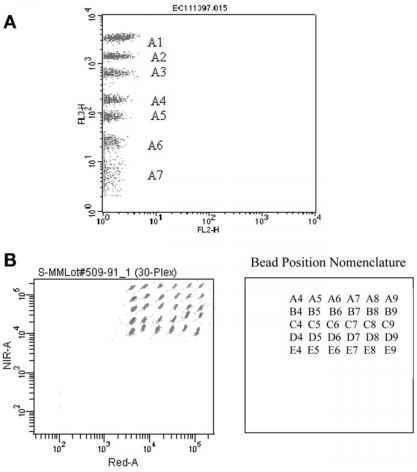 UniCAP-specific IgE negative control (cat. no. 10-9445-01). Prepared from human serum. Each kit contains six bottles with four determinations per bottle (0.3 mL each). Store at 2-8°C. 7. UniCAP development solutions (cat. no. 10-9439-01): 4-methylumbelliferyl-P-D-galactosidase 0.01%. Six bottles with 1200 determinations per bottle (64 mL per bottle). Store at 2-8°C. 8. UniCAP stop solutions (cat. no. 34-2271-51): sodium carbonate 4%, one bottle with 1200 determinations per bottle (850 mL per bottle). Store at 2-8°C. 9. UniCAP/Pharmacia CAP System washing solution set (cat. no. 10-9202-01). Set contains two bottles each of washing solution additive (86 mL) and washing solution concentrate (400 mL). Store at 2-8°C. To prepare for use, reconstitute using 10 L of distilled water per kit. Shake gently to mix. Prepared washing solution may be kept on the instrument. The washing solution bottle must be emptied and rinsed with distilled or ionized water. Water during weekly maintenance. Store at room temperature.